I’m a corporate lawyer practising in the agribusiness sector. I’ve recently married a ‘future farmer’, and live in the Upper Hunter Valley at Scone, on my husband’s black angus cattle block, “Belltrees”. 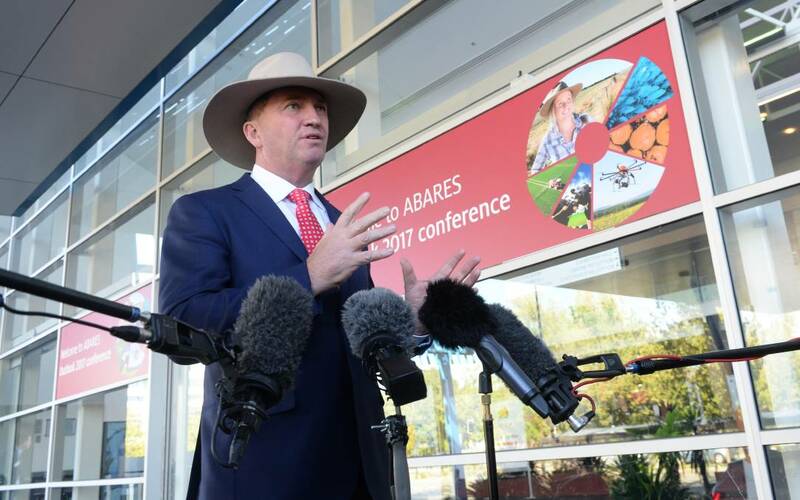 My family originates from Goondiwindi, where I grew up on a mixed cropping and cattle property. My family still runs the farming business, with my brother moving home to take over the reins. Tell us about your career… how did you get from high-school to where you are today? Honestly, Dad always encouraged us kids to explore opportunities outside of agriculture, to really establish whether our passion for the bush was something with which we wanted to make a career. Both my siblings studied Ag, in some form, at university – so I was relatively the black sheep in deciding to study law. I had this idyllic notion that I may be able to tie in the law and ag, I just had no idea how. Even before my final marks were delivered from University of QLD, I was backpacking in Europe. I arrived home broke and was luckily offered a junior lawyer position for a mid-tier commercial firm in Sydney. By accident, as opposed to career management, I ended up working in the commercial litigation team for 4 years and absolutely loved it. Whilst not conducive to any form of social life, the adrenalin of litigation was addictive. What was it like transitioning your career from corporate Sydney to regional Australia? To be completely frank, as a female, if you ultimately end up in a relationship with someone from the bush, your career path is relatively dictated by your partner’s respective location. You cannot predict who you’ll end up with and where they’ll be from, so having a career that is fluid is hugely beneficial. Originally, I had thought that the decision of whether to relocate to Scone was ultimately a decision between my relationship and my career. Happily, experience has taught me that I can have both. Technology allows me to work remotely for clients, delivering the same standard of services I would’ve otherwise delivered in Sydney. This is key to me being able to retain bigger agribusiness clients, to avoid them taking their legal work to the larger city firms. 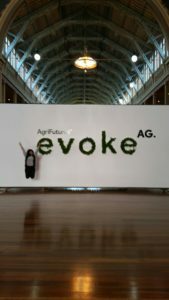 From a legal context, in your experience, what are some of the biggest challenges facing the next generation in agriculture? 1. WH&S – love it or hate it, WH&S is here to stay. Sadly common sense is not a given anymore, nor is it readily recognised in the law as a basic standard of being. Recent decisions have shown that the Court is really cracking down on inefficient WHS policies and practices. What were previously considered as tragic accidents are now litigated and investigated, and invariably someone is held responsible. Agribusinesses, particularly family-run farm operations, can no longer afford not to spend the money and time associated with putting proper WH&S practices in place. 2. Succession – I think my parent’s generation are, through their historical lessons learnt, the first generation to really identify that succession planning has moved past a handshake and informal dinner table conversations. Invariably our generation will benefit from this shift in planning, and so will the longevity of the relevant business. I grew up in Berrima NSW just under 2 hours south of Sydney. My father, a wool buyer, travels daily to Sydney but wanted our family to grow up out of the city. I have always had an interest in agriculture, mainly in the sheep and wool industry. I am the Operations Manager at AuctionsPlus and have been with the company for 5 years. My role leads me to manage the commercial livestock and stud livestock teams for AuctionsPlus, working closely with livestock producers, agents and buyers. In addition to this, I also manage the wool platform for AuctionsPlus – AuctionsPlus Wool, an online bid and offer board. Prior to starting at AuctionsPlus, I worked as a horse handler at William Inglis and Son, thoroughbred auctioneers at Randwick. I graduated from Charles Sturt University Wagga with a Bachelor of Business Studies. Since then I have also completed further study, finishing my Masters of Agricultural Business Management by distance through Charles Sturt University in 2018. Also in 2018 I completed my NSW Stock and Station Certificate of Registration. I joined the FFN board for a couple of reasons. Firstly, when I finished university, I was unsure of where to head and what to do to work in the livestock industry. I wished I had been more proactive and sought out opportunities within organisations like FFN. So, when a chance to apply for the FFN board became available I thought this is a great opportunity to offer what I had learnt in my short time, to people leaving university. 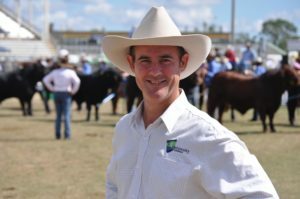 In addition to this, the current AuctionsPlus CEO Angus Street, and the previous AuctionsPlus CEO Anna Speer were both on the board. They spoke extremely highly of the people you can meet and what you can learn through sitting on the board. Tell us a bit about your career…how did you get from high-school to where you are today? I finished high-school in 2008, I did not study agriculture. However, throughout school I had worked with William Inglis and Son and always thought I would head into the equine industry. After a gap year in the UK in 2009, I headed down to Charles Sturt University Wagga and started my Bachelor of Business Studies. 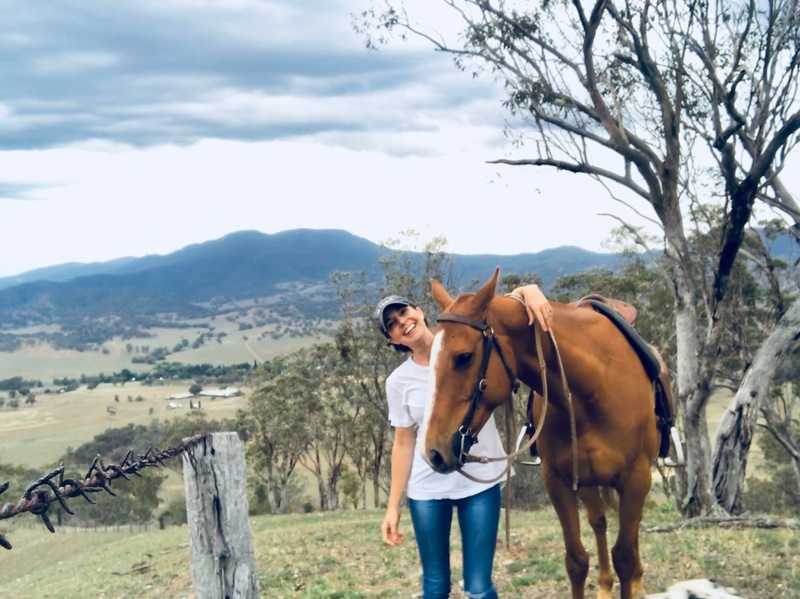 Very quickly through my studies I decided I wanted to work in agriculture and mainly livestock, which stemmed from a combination of meeting people in the industry and learning about the industry. 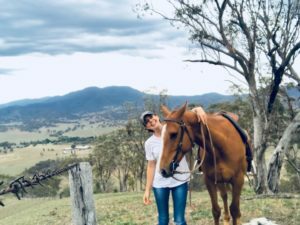 Once I completed university, I worked as a horse handler at William Inglis and Son in 2013 before starting at AuctionsPlus in the operations team. My career has initially been shaped by my family. Without directly pushing me into agriculture both my mother and father have always made sure that I got a “healthy dose” of the bush. Whether it was my dad teaching me about wool and getting me to bid at the wool auctions as a 10-year-old. Or about sheep on the property he grew up on, which is now being run by my uncle. Or my mother taking me out to Baradine where she grew up and learning about the sawmill my grandfather ran until 2004. From there my career was shaped when I was at university. Meeting people through Wagga Agricultural College led me to learn all the different opportunities within agriculture. There was a cross-section of people who were at the end of their working career, starting their career, starting or finishing study. Which meant I was able to learn about many different industries. Take every opportunity that comes your way, agriculture is only a small industry so you never know who you will meet or what you can learn from them! Technology being implemented on farm has such a huge potential, and we are only tapping the surface. 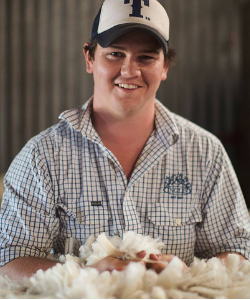 It could be the on-farm testing of wool to be sold online on the day of shearing; sending the hologram of a stud ram from West Australia to New South Wales so growers do not need to look at it in the flesh but can see it walk around in a life-sized form. What’s more, the cost of new technologies is cheaper each day, taking these things from ideas to the consumer level is becoming easier and easier. In February 2019 Case IH, together with FFN, ran a competition to send one lucky FFN Member to evokeAG – AgriFutures‘ leading agri-food tech event in Melbourne! With one highly sought after ticket, generously donated to the competition by AgriFutures, we set out to find our lucky winner. Kimi Pellosis, an Ag Science Graduate, was eventually awarded this fantastic prize. 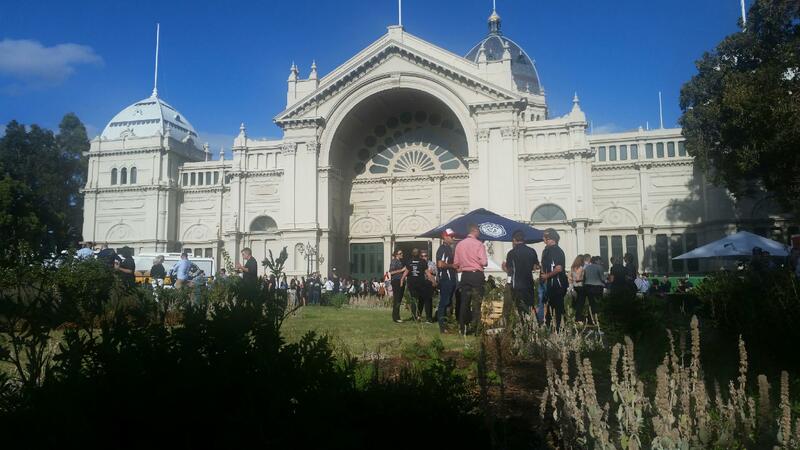 Below is a short Q&A from Kimi, where she shares some key insights from her time at evokeAG. Can you tell us a little bit about yourself and the industry that you work in? Hi everyone! 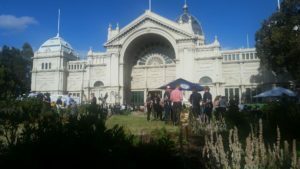 My name’s Kimberly Pellosis (Kimi) and I’m a recent graduate in the Master of Agricultural Sciences at The University of Melbourne. 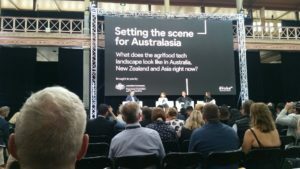 My goal is to drive innovative, economically efficient and sustainable practices in the Australian agricultural sector. I highly value learning from my experiences, and I am always looking for challenging opportunities to continue developing my personal approach in solving the important problems. Who were your top 3 favourite speakers or sessions, and why? What are your thoughts on the role of machinery in the evolution of precision agriculture? Precision agriculture wouldn’t be where it is today without it, machinery plays a crucial role in its evolution! Organisations like Case IH that provide agriculture and farm equipment will likely act as central catalysts in the advancement and development of the AgTech industry. What idea or speaker sparked your biggest ‘ahh-haa!’ or ‘lighbulb’ moment, and why? Australia is brimming with talent and potential, but compared to other nations we’re running behind – there’s always room for development and improvement, and as a whole we need to be connected, from every farmer in all rural towns to every professional in all state capitals.